Kale was not always cool. It used to be a garnish used to dress up the food in mediocre restaurants. My friend would take it home to feed to his bearded dragon. Then, suddenly, people started wearing shirts with the word, KALE emblazoned across them as if it were the Ivy League University they were proud to be an alumnus of. Kale even replaced the flowers in some bride’s wedding boquets. Kale has become synonymous with a liberal, eco-conscious, Prius driving lifestyle. Personally, I like Swiss chard more. Still, I have not been totally immune from the kale bandwagon. I confess to baking kale chips, juicing kale and even massaging kale (massaging it with lemon, olive oil and salt breaks up the cellulose structure making a soft and sweet salad). 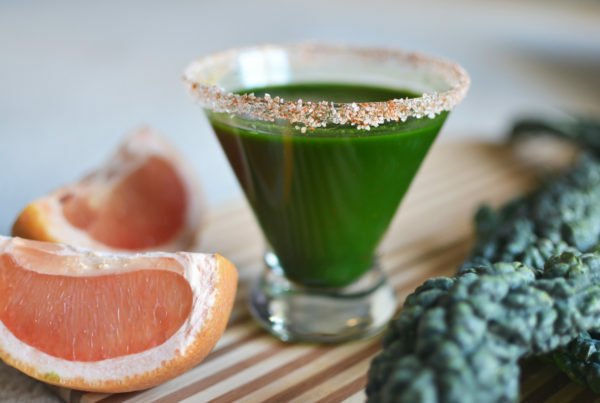 And then there was the kale cocktail I made. 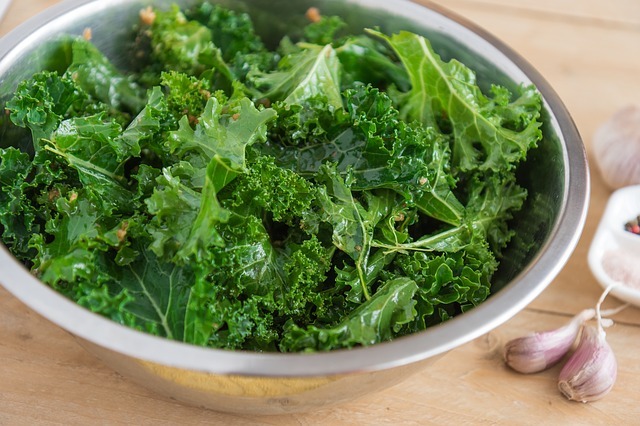 Bake your kale with some olive oil and seasonings for healthy kale chips. Curly Kale: This is the most common type of kale. It is best lightly sautéed or used in soups. The flavor is peppery and a bit bitter. Curly kale is the variety most commonly found in the grocery store. 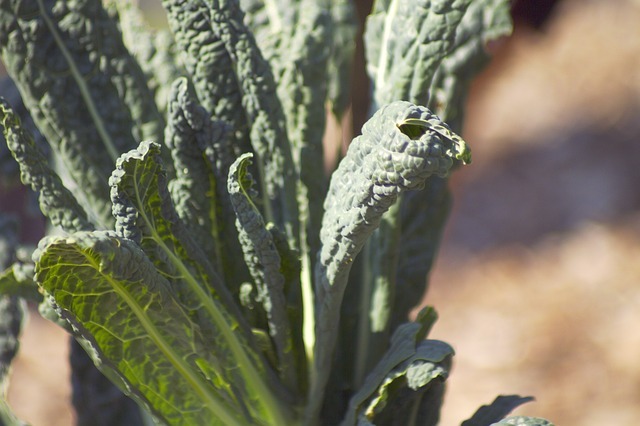 Lacinato Kale (Dinosaur kale, Tuscan kale): The lumps on this kale give it a reptilian texture earning it the nickname, “dinosaur kale.” This is the kale used in Minestrone soups and is also my preferred kale for massaged kale salad and juicing. Lacinato kale is more heat tolerant than other varieties. Red Russian Kale: This kale is tender and sweeter than other varieties. This and its purplish/blue color make it a great choice to use raw. Redbor Kale: This magenta kale works great in edible landscapes. It’s taste is mild and crisp. 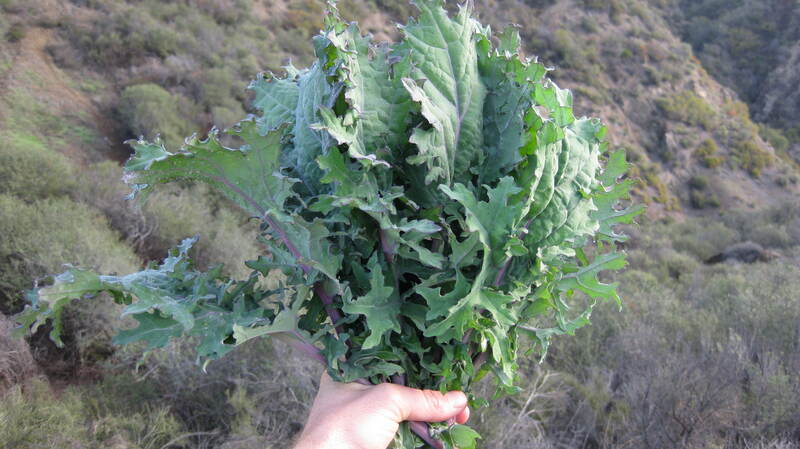 Redbor kale is perfect for edible landscapes. 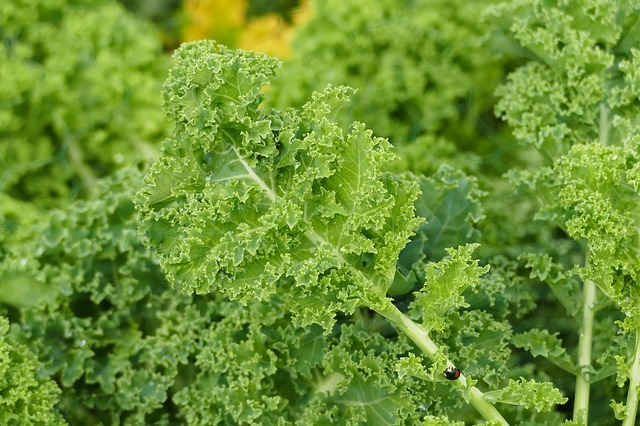 Kale can tolerant a wide range of growing conditions and temperatures. 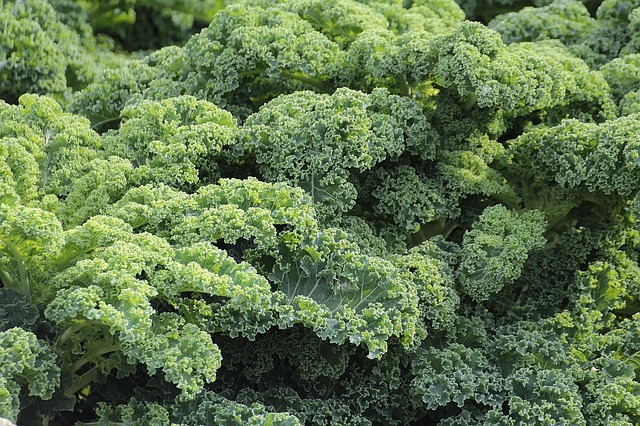 However, kale’s flavor sweetens in cooler weather and after a light frost. When temperatures get above 80°F kale begins to become woody and bitter (Lacinato is more heat tolerant than other varieties). Start spring seeds indoors 6 to 8 weeks before the last spring frost. If sowing directly into the garden do so as soon as the soil can be worked. This gives plants time to mature before the heat of summer. Kale can also be planted in the late summer or fall for winter harvest. 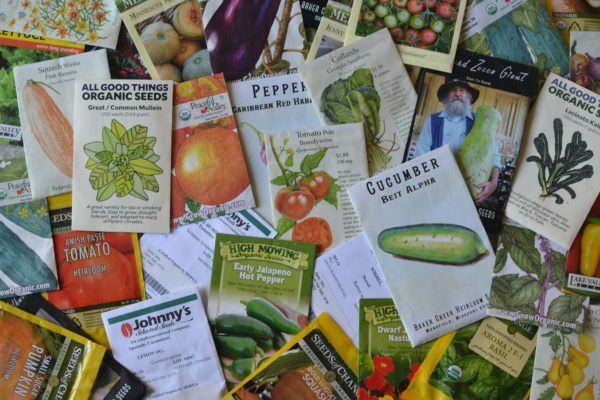 Start seeds 6 to 8 weeks before the first fall frost and harvest throughout the winter. Lacinato kale is more heat tolerant than other varieties. If you live in cooler climates grow your kale in full sun, in warm climates plant your kale where it will receive some protection from the hot afternoon sun. Spacing will depend on the variety of kale but typically space plants 12 inches apart. Water immediately after transplanting. 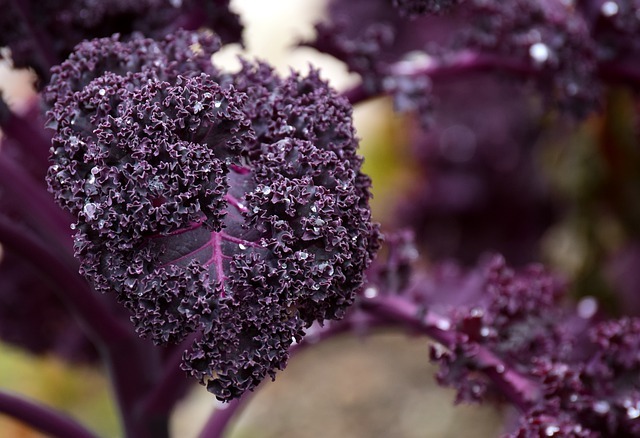 Kale likes a moist (but not soggy) soil throughout its growing season. Plants are ready for harvest when they are about 8 to 10 inches tall (about 70-95 days from sowing). Harvest the outer older leaves. As leaves age they become tough. When too old, they turn brown. 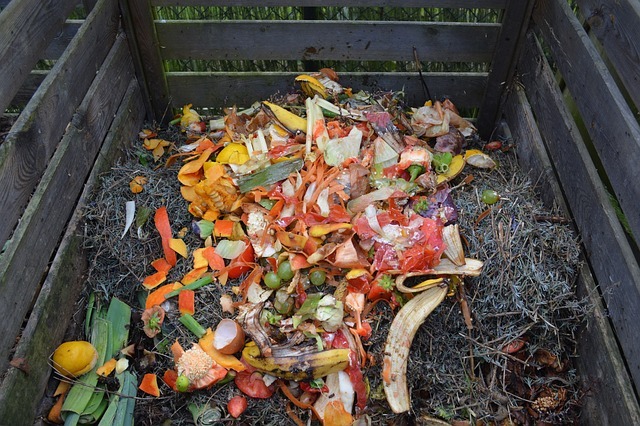 Pull these leaves off and compost them. A bouquet of red Russian kale. Kale can be stored in the fridge for up to a week. Place it in an open bag in the crisper bin. Kale is biennial (lives for 2 years) but most people grow it as an annual. Most varieties will die around 15°F (Siberian and winterbor can survive colder temperatures). After 2 years kale will flower, set seed and die. 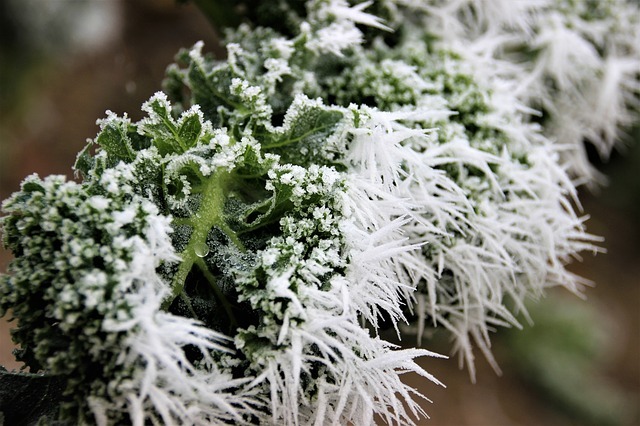 Siberian and winterbor kale can take colder temperatures than other varieties. Get started growing your own kale by clicking on the image below.